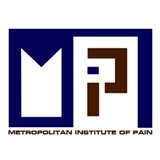 Metropolitan Institute of Pain (Arlington Heights) - Book Appointment Online! Love Dr Rahman! Have recommended her to multiple other women. Very comfortable visit. Impressed with the efficiency. Looking forward to having their staff perform further treatment and rehab. Dr. Shoeb is very knowlegable. His bedside manner was excellent. He took is time to explain things to me in a matter I could understand. He provided me with great information.